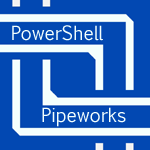 The PowerShell Types system has a lot of really underused capabilities. One particularily interesting one is PropertySets. A Property Set is a named view of a type's data, which will only pick up those properties. To create new ones, you can use the command ConvertTo-TypePropertySet. You pipe in a Select-Object result to this command in order to create a result set. This small pipeline creates a property set for file times.